No admission charge to enter the Fall Plant Sale. 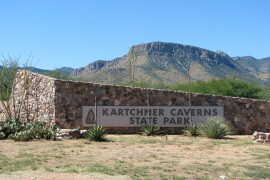 [Apr 20-21] Join us in an Earth Day celebration at Kartchner Caverns State Park. 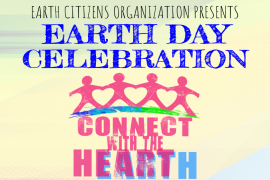 We will have live animals, an owl pellet dissection activity, crafts, presentations, and interactive activities of all sorts to showcase and celebrate the beauty of our planet and to foster good stewardship of our natural resources. The theme for this year is “Connect with the Heart. Connect with the Earth”. We believe we can change the Earth through our personal internal change and choice. 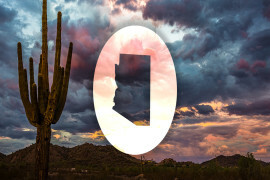 Local exhibitors include nonprofits, businesses, city, state and county departments providing information and giveaways with a core message of sustainability, from solar energy, recycling, to gardening exhibitors. Onsite resources and information on how you can live sustainably, and short educational seminars throughout the day. [Apr 25-28] Field trips, local tours, workshops & seminars, educational activities for kids, exhibits, key-note speaker, entertainment. Discover some of the mystery behind black holes and the depths of the universe. 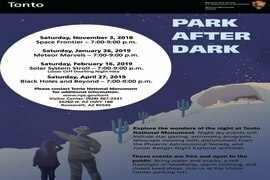 Join astronomers from the Phoenix Astronomical Society and park rangers after the program for telescope viewing and constellation tours. 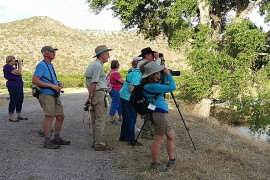 Learn about rocks and volcanic formations along our main trail with geologist Scott McFadden as your guide for a tour that compresses almost two billion years of geologic history into just over one educational hour.